Come see us today at Spinelli Kia near Vaudreuil and Dorval to take advantage of the largest selection of used Kia for sale in Montreal! 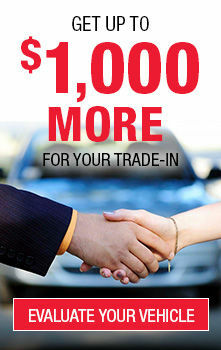 You will see that we have the largest collection of certified used Kia liquidation models and we sell them at the very best prices on the West Island! Whether you're looking for an SUV, a sedan or a sports car, you can count on the Spinelli Kia team to help you find the model that best suits your needs and your budget! Our pre-owned Kia near Laval come mainly from customer trade-ins; that way you can be sure to get your hands on the complete maintenance history of the car of your choice. Once on site, you will find we stock a selection of used Sportage, pre-owned Kia Sorento, used Soul and even used Rondo from various model years and covering a wide price range. If you are looking for a used Kia SUV for sale in Montreal, you'll find what you're looking for at Spinelli Kia! Or maybe you're shopping for a car? Whether you're looking for a compact like our used Rio, a more spacious sedan like our pre-owned Optima or even something sportier like the used Kia Forte, you'll have more than enough to choose from among our extensive inventory! Check out our website or come and meet us on site to make your choice! Whether you choose a new vehicle or one of our pre-owned Kia near Laval, you can take advantage of our many financing options and our current Kia promotions. And even if your credit history isn't perfect, you'll be able to take advantage of our second and third type credit loan opportunities on our used Kia for sale in Montreal. Don't wait any longer and complete your online application today; one of our credit specialists will be in touch with you shortly! When the time comes to shop for a used Kia near Dorval and Vaudreuil, there's only one name to remember: Spinelli Kia, your perfect Kia dealership partner in the greater Montreal area!